The Frapin’s rich family heritage is the stuff of a whimsical, old-world romance novel—and, according to creative director David Frossard, the key inspiration for all seven fragrances in the line.One of the oldest and most established families in France, the Frapins have been distilling cognac from their original Fontpinot Castle, situated on 300 hectares in the Grand Champagne region of France, since 1270 and through 20 generations; they expanded into fragrance in 2008. 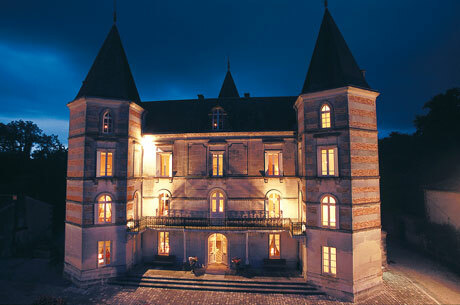 And if a castle isn’t enough of a fairy tale for you, Louis XIV himself granted official nobility to the Frapin family in 1697. Frapin Castle. Source: Frapin website. Frapin, as a perfume house, is perhaps best known for its 1270 fragrance and then, for the limited-edition, Bertrand Duchaufour-created 1697. Both are loved for being very boozy, rich scents, in keeping with Frapin’s goal of replicating the feel and smell of their cognac. I opted, instead, to try Speakeasy, a perfume whose name appealed to my interest in the Prohibition era of the 1920s when alcohol was constitutionally banned in America, leading to the rise of the Mafia, gangsters, and illegal bootlegging. (My appreciation for the HBO television series, “Boardwalk Empire,” added to it.) For those outside of America, the term “speakeasy” refers to the illegal drinking dens that were operating in secret and where alcohol flowed like water, as the mobsters raked in the cash. It was the era of Al Capone, Meyer Lansky, Lucky Luciano, and the St. Valentine’s Day Massacre. Speakeasy is a boozy, woody Oriental fragrance that was released in 2012 and that was created by Marc‐Antoine Cortcchiato, the founder of Parfum d’Empire — yet, another reason why I opted for this perfume over its more famous siblings. And, I have to say, I’m disappointed. For one thing, Speakeasy most certainly does not evoke the 1920s and Prohibition, but, rather, a slightly seedy bar in 1950s Cuba or Miami filled with mojitos, pancakes, and cigars. One commentator on Fragrantica found it brought to mind the 1970s with its vinyl orange plastic, formica green and ruddy browns — and it does that, too. My main problem with Speakeasy, however, is that it’s a hodge-podge that isn’t really enormously interesting. It’s fine, it’s average, it’s neither here, nor there — and it doesn’t inspire much of anything to me. Perhaps it should have been more like Hemingway in his early Cuban days…. Rum extract, Indian davana, Sweet italian orange and Fizzy lime from Brazil, Cold russian mint and Egyptian geranium, Oriental leather accord, Ciste absolute, Labdanum absolute, Styrax essence, Turkish tobacco accord, Tobacco absolute, Liatrix absolute, Everlasting [Immortelle] flower absolute, Tonka bean absolute and White musks. Speakeasy opens on my skin with a brief, split-second element of a traditional cologne. There is fresh, zesty lemon, lemon peel, and orange which feels a lot like freshly-squeezed juice. The scent is thin, light and slightly cool in nature. Within seconds, however, the fragrance turns warmer, thicker, smooth and sweet with rum and honey notes. The boozy accord is supplemented by hints of fuzzy, green geranium and mint. The citruses recede slightly to the background where they add a subtle depth to the fragrance but are never hugely dominant. That role is taken, instead, by the rum which is strong and rich, though actually much lighter in feel than I had expected. It feels a little like Captain Morgan’s Rum and bloody close to a Mojito cocktail, but not exactly. Perhaps it’s because the note is infused with dry tobacco leaves and immortelle. Ah, the immortelle — the reason why Speakeasy may be a hard sell for many. You see, the immortelle is quite dominant in the development of the perfume, and it’s a note which polarizes people greatly. 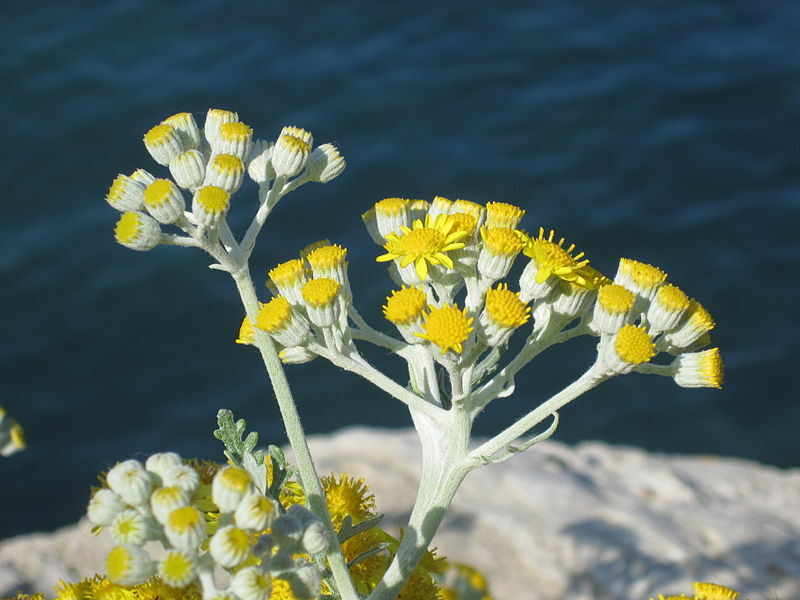 For those unfamiliar with immortelle, it’s is a yellow flower most frequently found in the Southern Mediterranean, and its dry, floral scent usually turns quickly into the aroma of maple syrup. Here, both aspects of the flower are noticeable. Initially, it is a dry, light, slightly aromatic flowers which join with the tobacco leaves to counter Speakeasy’s boozy sweetness. Later, however, the maple syrup comes out. But I’m getting ahead of myself. Thirty minutes in, Speakeasy is a swirl of rum-infused citruses, dry tobacco leaves, amber, and vaguely amorphous floral notes dominated by the immortelle. It feels a lot less like a Mojito, though the mint still flickers lightly in the background. The orange note lurks there too: it is much less fresh and light; it feels like the caramelized pulp of the fruit. But neither the mint nor the orange can counter the boozy, ambered rum that is the core essence of Speakeasy. At the start of the second hour, Speakeasy decreases in volume and becomes much softer, while also becoming much more brown and orange in hue. There is sticky, rum citrus with sugar cane, melted and caramelized, but also with a subtle hint of saltiness. Florals float in the background, simultaneously fruited and a bit dry. The whole thing sits atop a base of rummy amber with tobacco and hints of immortelle. From the initial impressions of a Mojito, we’ve now suddenly gone to a 1950s bar in Havana or Miami. It’s filled with heavy-set men in open tropical shirts, sporting heavy gold chains over a visible expanse of black, furry, springy chest-hair. 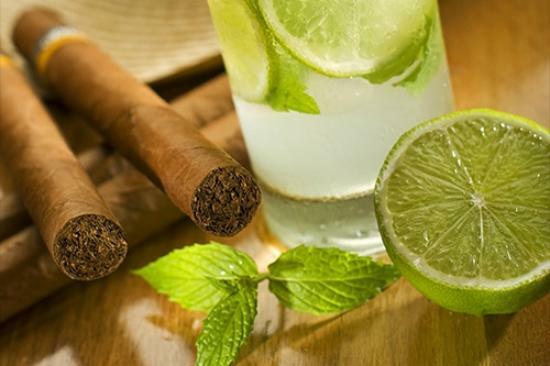 In their thick fingers, they hold fresh Cuban cigars — dry and unsmoked — which they wave in the air at the bartender to order another round of Rum-and-Coke. I can’t get the image out of my head. It doesn’t help that, 3 hours in, Speakeasy takes a turn into root-beer territory backed with rum, more dry tobacco, and a growing hint of maple syrup. The latter initially feels a lot more nutty in nature than the syrup you’d pour over pancakes, but it’s still not really my cup of tea. I like the floral aspects of Immortelle, not the maple syrup, and unfortunately, the former note starts to fade as the latter grows in dominance. 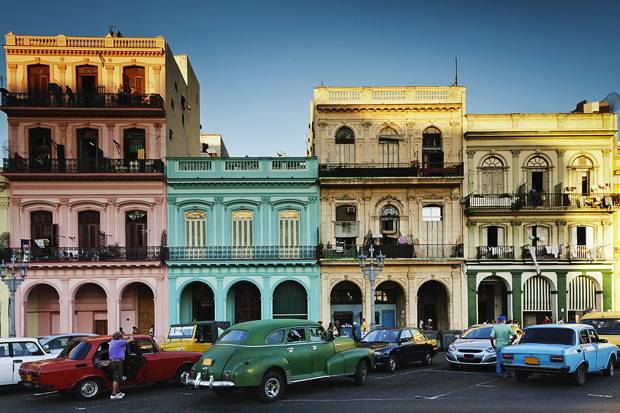 Now, my heavy, furry, cigar-wielding, Havana men in tropical shirts also have a side of pancakes to go with their Cuba Libre drinks. By the start of the seventh hour, Speakeasy is maple syrup amber and… maple syrup. Yes, there is still the tobacco — and it still feels like an unlit cigar or dry sheets of tobacco leaves, rather than anything evoking an ashtray — but it’s quite minimal. The immortelle has taken over the show. 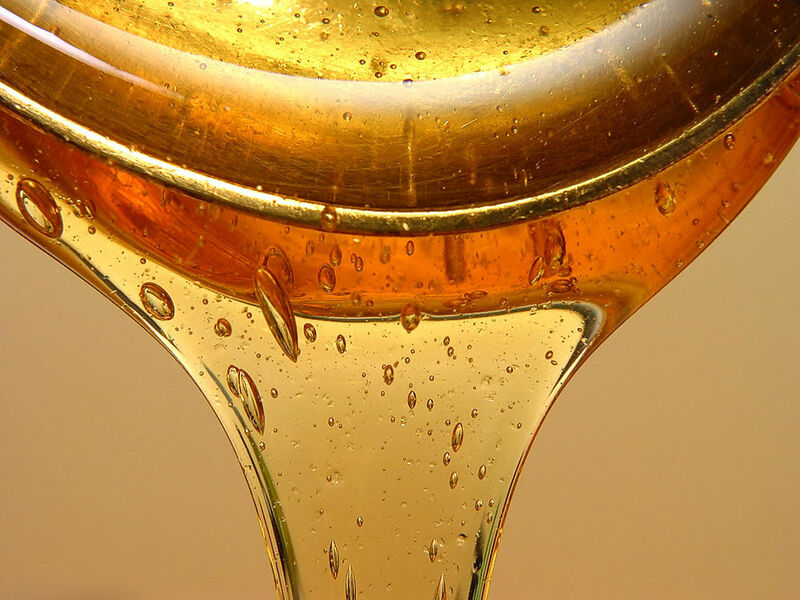 For the next five hours, Speakeasy is ever softening shades of maple syrup. And that’s it. Truly. I can’t detect a single other element to the scent. All in all, Speakeasy lasted over under 12.5 hours on my perfume-consuming skin which is quite remarkable. I should note, however, that I did two tests for Speakeasy and the first time, when I applied much less, the longevity and sillage were significantly less pronounced. With the equivalent of one good spray, Speakeasy lasted approximately 9.75 hours and had good sillage. With just a little over 2 sprays (really about 2 and 1/2), the longevity was a few hours more. On both occasions, the sillage was very good for the first hour — even powerful when I applied a greater quantity — and projected three to four inches off my skin. Later, Speakeasy softened, though it was easily detected if I brought my arm anywhere near my nose. It became a skin scent around the eighth hour during my second test. Despite the rich notes and the excellent projection, Speakeasy surprised me in being quite lightweight in feel. The texture isn’t opaque, heavy, resinous or thick. And, for all the rum involved, it doesn’t feel like a boozy scent. It’s not like Hermès‘ Ambre Narguilé, Guerlain‘s Spiritueuse Double Vanille, Tom Ford‘s Tobacco Vanille, Teo Cabanel‘s Alahine — all scents with a boozy, rummy nature, though they are all perfumes with a huge amount of spice in them, too. Most of those have a large tobacco element as well but, still, they aren’t the same as Speakeasy. Perhaps it’s because Speakeasy has the mojito, maple syrup and pure rum accords, as opposed to the spiced, stewed prunes, raisins and apples of the others. Or, perhaps, it’s because it’s so texturally light. Unlike the term “Speakeasy” and its hush-hush connotations, Frapin’s fragrance is a heavy hitter right from the start. It’s noisy and chaotic as the perfume throws almost everything it has at you: herbs and fruit, smoke and syrup– they party like it’s 1929. Things get smoother rather quickly. The mojito is replaced by a darker and warmer drink. The syrupy sweetness sets the tone for a comfortable old leather, incense, and a rich tobacco. If you dislike immortelle and its burnt maple aroma, there’s no amount of Frapin booze that will help Speakeasy go down better for you. Personally I love it, so the sweeter the better in this case. Tobacco truly dominates the way Speakeasy smells on my skin: light and dark, sweet and smoky. I love it, but must admit that it can be too literal. I never smoked and would rather not smell like I’ve become a smoker in middle-age. It’s actually a little disturbing that the remnants of Speakeasy on my clothes remind me of a smoky bar. On my skin, there really wasn’t that much tobacco, and it never felt like an ashtray; I honestly never felt as though I’d spent all night in a smoky bar. To me, the note felt much more like that of sheaves of tobacco leaves drying in the hot Virginia sun, or like that of an unsmoked cigar. I also never detected incense or leather, though Speakeasy definitely evokes some sort of old bar with leather and wood. (God, leather and incense may have made it so much better!) Despite these minor differences, though, I share her views on the jangling, chaotic feel to the scent. Don’t get me wrong — Speakeasy is not a bad scent by any means, but it leaves me feeling completely indifferent. I haven’t tried Frapin’s limited-edition 1697, but I’ve read a comment on Fragrantica to the effect that Speakeasy was like a little “summer sister” to the Duchaufour creation. I have to wonder a little about that as there is no immortelle in 1697’s notes, and that element is such a huge part of Speakeasy’s middle to late stages. Still, those looking for a more boozy, amber scent may want to give “1697” a sniff, while those seeking a lighter, summery fragrance with a more tropical feel may want to opt for Speakeasy. But those who shudder at the mere thought of immortelle — and there are many of you out there — should probably stay away at all costs. Cost & Availability: Speakeasy is an eau de parfum that is available only in a 3.4 oz/100 ml and which costs $145. In the U.S., it is available at Luckyscent, Beautyhabit, and MinNewYork (which sells it for $5 more at $150). In Canada, Speakeasy is available at The Perfume Shoppe for CAD $145. In the UK, I’ve read that Frapin fragrances are carried on the specialty floor of Harvey Nichols (Le Floret? ), but I don’t know for sure. In France, it is available at Nose for €105 and I think there is free shipping at that price within the EU. For the rest of Europe, there is First in Fragrance which sells Speakeasy for €96. As for samples, I obtained mine from Surrender to Chance which sells vials starting at $4.50 for 1 ml.